What’s good stuff from Tezuka? Many manga fans (often in teens) find his style of drawing very outdated and are not very likely to be talked into start reading his works. 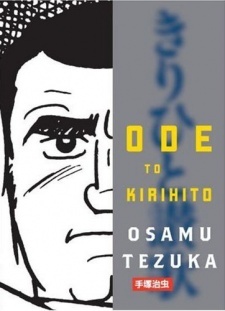 Osamu Tezuka is often refered to as “godfather of anime”, “father of manga”, “Japanese Walt Disney”… and as such he left behind huge opus of both anime and manga, some of them are for kids, but some of them are made for more mature manga readers. Exciting espionage mystery thriller about newspaper journalist searching the truth behind younger brother’s murder, young boys: Adolf Kamil of German-Jewish origin living in Japan and Adolf Kauffmann, son of high-ranking officer in German embassy in Japan who stumble upon information that may bring ruin the third Adolf in the story. 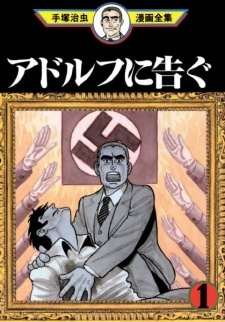 Must say that this was one of the best seinen manga I ever red – storywise, and great WW2 historical fiction. 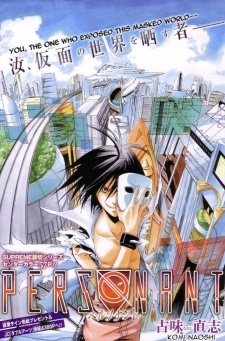 This manga is about a boy robot superhero who was created by dr. Tenma in order to replace his dead son, since he was imperfect, he was trown to garbage dump but found by good professor Ochanomizu and given mission to protect the world from sinister threats. 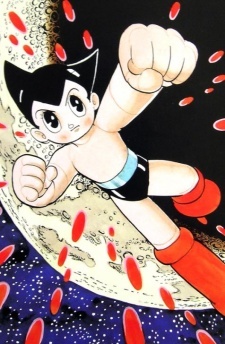 Although it was primarly made for kids I enjoyed it a lot… that reminds me that I still have to watch Astroboy animated movie from 2009. I personally have no idea wheather is this is an accurate biography of Buddha but it was interesting read about beggining of one of the main eastern religions. Must say that I ignored fantastical elements but enjoyed depictions of India’s history and society in the time (which I found most interesting in this manga). 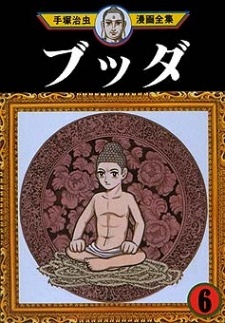 This manga is about a doctor (Tezuka actually had a medical degree from Osaka university, piece of trivia) who goes to remote village in order to research unknown desease but is tricked by his colleague and contracts the desease himself. 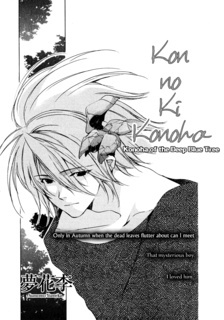 Due to that he ends up in weird situations as he tries to find cure and save his life. 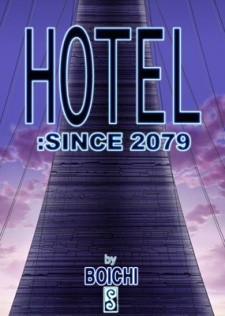 This piece is also seinen and very interesting read. Sometimes, I just feel like reading something, yet I’m not ready to commit my time and attention to some long series. Then, I usually seek some one chapter-long pieces that are commonly referred as One-Shots, if you search for quick reads to enterntain yourself I’ll suggest here some that I found very enterntaining and interesting to read. 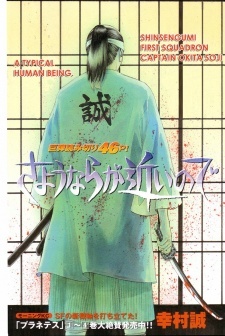 Tells the story of Okita Soji’s final moments. Okita Soji was a historical Shinsegumi’s 1st squadron leader, and most anime/manga fans knows him trough historical parody Gintama character Okita Sougo… Well, this is about the real one and it’s short but interesting read. 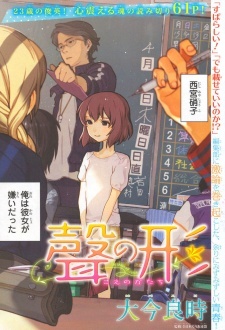 Cute short story about new girl in class with impaired hearing and her unlikelly friendship with meanest boy in class. Simple and great. From the author of Sayonara Zetsubou Sensei and Katte ni Kaizou (Kumeta Kouji), this One-shot tells a short comedy story about an older sister who likes to falsely accuse people. This One-Shot is from author of popular and well known manga Full Metal Alchemist (Hiromu Arakawa), for which after reading you regret there isn’t a continuation. Tells a story of female ninja Henpukumaru who awakens in enemy castle. Short romantic and mysterious story very similar to one in rather recent anime movie Hotarubi no Mori e.
Short fantasy romance about couple separated by war. Weird futuristic society where everyone is required to wear Personants – technologically advanced masks that eliminate differences between people and about only guy and highly wanted criminal who refuses to wear one. Beautifully drawn piece about a computer with AI who continues to exist millions of years after all life incliding humas have long gone extinct. Historical fiction is a literary genre where action takes place in the past sometimes featuring real historical figures, setting and social norms that are drawn from from that particular period. There are many novels of the genre but i decided to use the same cathegorisation for their manga equivalent. For such manga to be good, authors ussually have to research the very period troughly in order to make it as interesting and detailed as possible, as it is such, there are not many to count but they are many levels above of what you would usually expect from the very medium and mostly targeted to adults (seinen). 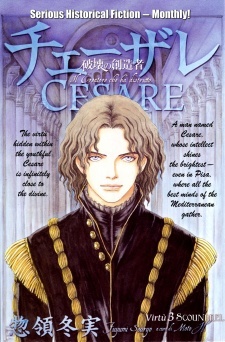 Set in the renaissance Italy follows the story of young student Angello di Canossa and how he meets one of most enygmatic figures in history as considered today – Cesare Borgia (his life and conduct inspired one of my favourite reads of all time, Machiavelli’s Prince on the side note), author Fuyumi Suoryo made it in collaboration with a Dante scholar so it has many details about the time and young Cesare Borgia facts that I’ve migh have not stumble across differently. As the great political intrique unravels, history has never been more fun as experienced trough manga format. It is currently publishing. Epic tale about brutal Vikings. Do I need to say more? Well I should, I guess. Cannot pinpoint precisely the very historical period, but it is definetly around the time Christianity started protruding northern regions of Europe (Denmark, Norway, England)… It follows the story of a young Viking Thorfinnon a path of avenging the murder of his father, shows the beginning of feudal age, Viking plundering and formation of kingdom. Very exciting, interesting and thrilling read you easily get hooked on. Currently publishing. What is so great about this? As Alexander the Great filled our history textbooks, movies were made about him and he is one of the greatest conquerors of human history, we think it’s fairly known and even overused as a topic. 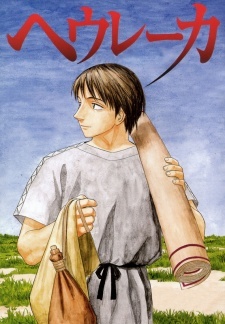 This manga is a story about Alexander as a side character because it actually follows exciting life and deed of one of generals – Eumenes who is like cunning king Odisseus, from his early life (which was drawn from private papers of Hieronimus and later from private papers of Eumenes). Portions of the story are made up to make it more interesting, but the world and society depicted is very, very accurate as far I can tell. This manga will make great appeal to whoever likes strategy, reading about ancient battles and trivia about historical people. One of my personal favourites and currently publishing. Young English scholar travels trough Asia and meets young brides as he researches cultures, but that is just story on bigger scale and connection between more of them in different parts of world. First young bride Amira is from nomadic people that may origin from Mongolians in today’s Kazakstan (I guess). Story starts as she is to be wed into a different town and to her surprise the groom is younger than her, afterwards it shows a lot of hers day-to-day adventures as she accustoms herself to new way of life. As the young scholar reaches today’s Turkey, story starts to follow two energetic and mischiveous twins in a coastal village. This manga is adventurous, romantic and more focused on everyday life in these exotic cultures… so far at least, because it’s currently publishing. This is a Cinderella like romance set in Victorian London that follows the story of a young maid named Emma. As a child, she was kidnapped from a way back home to her poor fishing village and upon arriving in London she escaped and was taken as a maid in home of old governess. 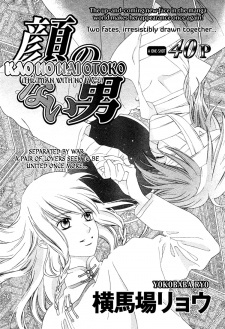 One day an ex pupil from aristocratic family visits the very old lady that raised him in the childhood and falls in love with Emma… even the very story format was used repeatedly in lot of books, movies and such, this manga delivers well reserched Victorian London, customs, class differences, beautiful illustrations and enjoyable read to those who are in the mood for some romance. 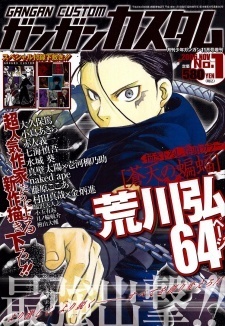 Written and drawn by Mori Kaoru as well as Otoyomegatari. Finished publishing. From the same author as Historie, Iwaaki Hishi (that is easily seen just from a glance), this one volume short piece placed in small city state of Syracuse tells a story about final moments of mathematician Archimedes who by the legend has made several war machines for defending the city (which are depicted in it). A short and interesting read. Finished publishing. 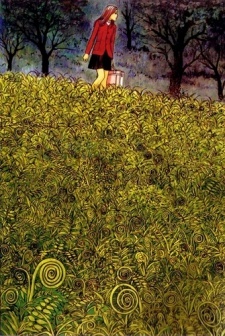 Manga author Ito Junji truly brings stories worth of discovering for any horror manga fan. His drawings are simple, yet he makes them have more presence by using thick ink lines. Themes he uses are most of the time everyday angst inspired and he elevates them into supernatural after a twist to them (that is expecially present in his one-shots). 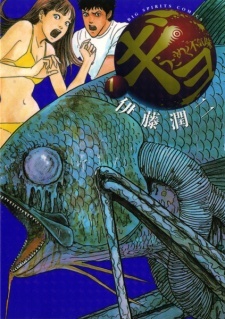 Wheather you’re already into manga or just want to see what’s it all about, manga of Itou Junji makes appeal to mature audience with it’s creativity, broad range of themes and reached cult status. Story about high school kids who encounter very beautiful girl that comes into their lives out of nowhere. They can love her, hate her or kill her, but she will always return (and that’s what’s scary). Whoever liked popular Sadako this might just be a thing for them. 16 volumes (each containing 5-7 separate one-shots) long collection of horror short stories that were innitially published in “Hontou ni Atta Kowai Hanashi” mangazine. They are excellent pick for anybody who cherishes diversity and wants to be disturbed by contemporary Japanese horror. This manga does not have monsters, ghosts, or serial killers… rather an phenomenon of sorts – Spirals. 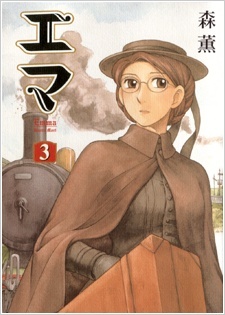 It is a manga about spirals and people in the small coastal town who see them often. It is funny how something ordinary like that can be made into a scary story untill human psychology is added. Quite an original piece. I consider this piece in particular “so bad it’s good”. Story goes as this: young people on vacation in Okinawa start to notice that something stinks and soon afterwards they notice that dead fish are exiting the ocean and attacking. This was very enterntaining and funny read containing a healthy dose of disturbing and freaky.